In February, Lowe’s expanded its military discount program to give all active, reserve, and retired military members and their immediate family members a 10% discount everyday. The discount also extends to disabled veterans and their families. The discount applies to in-stock and special-order purchases up to $5,000, but it excludes sales via Lowes.com and purchases of services or gift cards. This is an extension of a discount that had been offered during veterans’ holidays such as Memorial Day, Fourth of July, and Veterans Day. While many stores and managers extended the discount when asked, now the discount has become company policy and will be implemented chain wide. All other veterans who are not active, retired, or disabled are still eligible for the 10% discount Lowe’s historically offers during the Memorial Day, Fourth of July and Veterans Day weekends. 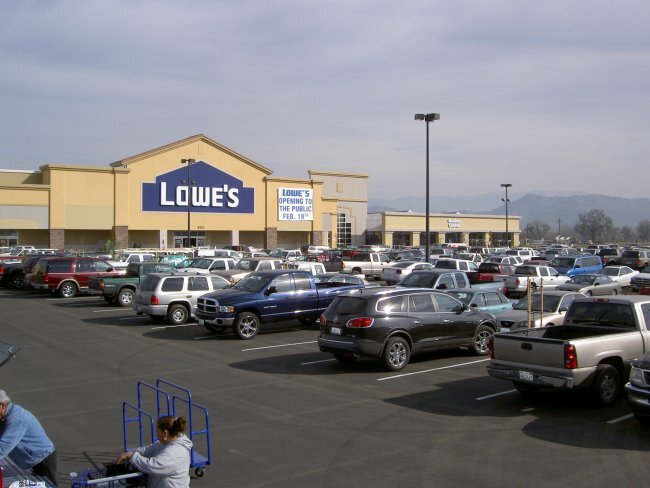 About 12,000 current employees are veterans or reservists, according to Lowe’s. Home Depot has also recently followed their lead. The home improvement giant expanded its military discount program as well to give all active, reserve, and retired military members and their immediate family members a 10% discount everyday. Like Lowe’s, Home Depot’s discount was originally focused on veterans holidays but ha since expanded its discounts to veterans. I am a disabled war veteran of the first Gulf War and was absolutely thrilled when I learned that Lowe’s would be extending the 10% discount to disabled veterans year round! Among several aspects of my service connected disabilities I have a progressive brain injury. This makes remembering things difficult at times, like remembering my DAV Identification when I go to Lowe’s. On the evening of 13 April 2010 I made a purchase of lawn care products totaling $786.33. After the young man rang everything up and I was in the process of paying I remember that I had forgotten my DAV card. When I mentioned this to the gentleman he said that I could return with the receipt and my card and that customer service would credit the discount. This afternoon, 17 April 2010, I returned to that Lowe’s store and told customer service my story. To my disappointing surprise I was told that they wouldn’t credit back for military. Or at least she thought that was the policy, as she nonchalantly half-asked, half-told the other associate that the policy was not to credit military. To say the least, I was embarrassed and appalled, not to mention a little ticked at the woman’s indignant attitude. I really like the usual professionalism and courtesy that Lowe’s employees display but that was not the case that day. Think I’ll find a new place to spend my money! I too am a Veteran and appreciate both Home Depot and Lowes support. I think the decision not to allow military discount credits after a purchase is a sound one. People will find ways to manipulate the system and while not necessarily true in this case, the practice of bringing in a receipt claiming “I forgot my military id” really should be prohibited. Its like bringing a coupon back to a store after you’ve already bought the item earlier. For all Lowes knows, a neighbor buys a new lawn tractor and the Veteran says, “Hey, give my your receipt and I’ll get you $200 bucks back”. Not fair to any business. A VFW card and a drivers license??? They specifically call it a MILITARY discount…not a I SPENT FOUR YEARS IN THE ARMY AND GOT OUT THE FIRST CHANCE I GOT discount. The military ID card (active or retired) is proof of service…not a VFW card. A DAV card, on the other hand, is just as good as a military ID. Chris, Re-read my letter, they told me to bring it back. I paid with a charge card, my card. The credit goes back to my card. The case in point is that the let hand didn’t know what the right hand was doing and it put me in the middle. By the way, I wrote to corporate and it went up and down the food chain. The manage of the Lowe’s that I went to called me and said they should have given me the discount when I came back. I have since had that taken care of. Oh and by the way, do you suffer from a Traumatic Brain Injury? Forgetting things can be as little as putting shoes on when you go out, let alone remembering an ID card at a store. Previous post: Are Your Personal Finances Spinning Out Of Control?